Use the Batiste XXL Volume to create texture and volume. I didn't want to take the time to curl my hair for volume, that's why Volume dry shampoo's are great alternatives! This Batiste one gives massive volume and holds all day. pin the fishtail braid loosely into a side bun and you're done ! this is a great alternative for a plain bun . The fishtail effect makes the bun more sophisticated! This hairstyle is great for work or a wedding. It really does look amazing on everyone no matter the shape of your face or skin tone . 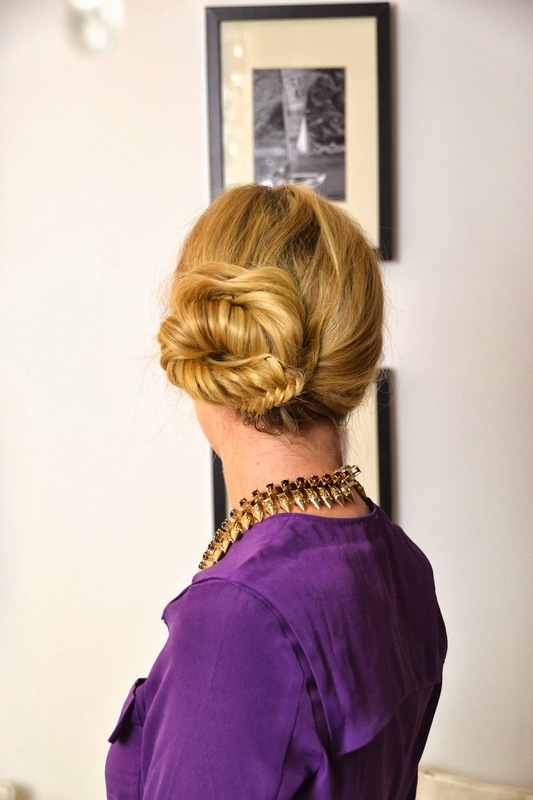 If you don't know how to fishtail braid, don't worry, a simple braid looks evenly gorgeous for this updo! Make sure to create volume, because it looks better when you have a wide braid to work with. Teasing the hair wouldn't be an option because you have to be able to separate hair for the braid. Volume sprays are so common these days that you can find them in any price range and any brand. This Batiste one is super cheap and lasts you a long time. I bought mine at the local drugstore. I also have a review coming up & a mini giveaway with Batiste products soon, so stay tuned if you fancy winning your own Batiste dry shampoo! If you want me to do more tutorials, let me know! !